Hair extensions are one of the ways for woman to show her personality. The experience of clip in hair extensions in different colors such as ombre extensions hair, Blonde clip in Human hair extensions, blue clip in hair extensions…, which will give the women more energy, creativity and refreshing look. For the reasons above, let’s explore with Layla Hair Company about the hair color which is quite popular and suitable for your skin. 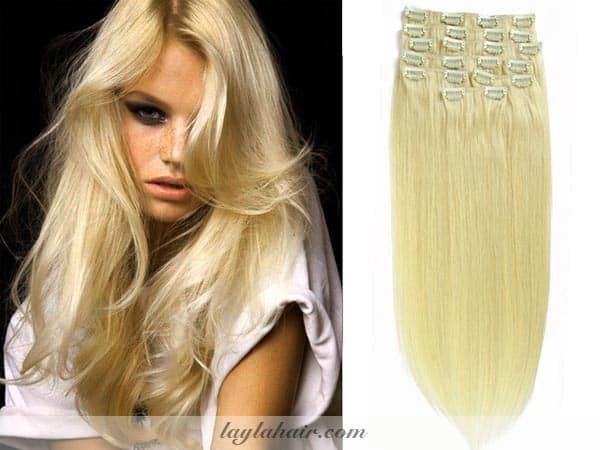 Suggested for people who have warm undertone and neutral warm undertone with Blonde clip in human hair extensions. For those who have warm undertone and neutral warm undertone, own auburn skin, you should have at least one of these colors below, these colored clip in hair extension will give your skin brighter. Chocolate is not new color but never lose its heat. If you do not want to have a hair that is not so prominent then this will be a perfect suggestion for you. The harmony of chocolate will help the skin brighter and fresher, making your face dazzling every time. Chestnut brown is a very popular dye color because it is most suited to all skin tones, but this is a neutral color for those not too light in her skin. You should not use Blonde clip in Human hair extensions for warm undertone and neutral warm undertone because they will make your skin look darker and you will look older. If you know the makeup and dress up to show your personality, this is the color which is very unique for you to choose. Brown red clip in hair extensions not only helps you better whitening reddish skin also helps on that radiant and pinky. Note the red clip in hair extensions don’t be too on the hair, some red clip in hair extensions when exposure is enough, the brilliant red too will cause the reaction of your skin becomes darker. Recently, people tend to buy Blonde clip in human hair extensions. This quickly got the attention of many people, especially the young. But before buying colored clip in hair extensions, you should consider whether it is consistent with your complexion because Blonde hair is very picky to skin colors. If you are concerning to buy a white Blonde colored clip in hair extension, you should think carefully. The girls who have the cold undertone and neutral cold undertone have a wide range of colored clip in extensions options. But you should also find the real comprehensions for it to gain the maximum results for your beauty. Platinum pastel pink clip in hair extension is probably the most favorite girl in Korea at the beginning of the year. Changing the color of the hair helps to make your face brighten and increase the appearance several times. Distinctive natural red color will give the other person a spot if one has a cold undertone. Not only does it help to whiten your complexion, but it also enhances your attractiveness to your hair and face. So this colored hair clip in hair extension is still the best. With its modern, liberal and individuality, Blonde clip in Human hair extensions is one of the most active women’s hair colors. Some of the most popular colors are smoke clip in hair extensions, cigarette smoke, greyish smoke clip in hair extensions, gray color clip in hair extensions, etc. They all help to brighten up your personality. With Blonde clip in hair extensions, you will always stand out from the crowd and impress the other person. Whether it is short clips in hair extensions or long clips in hair extensions, you are always very personal. 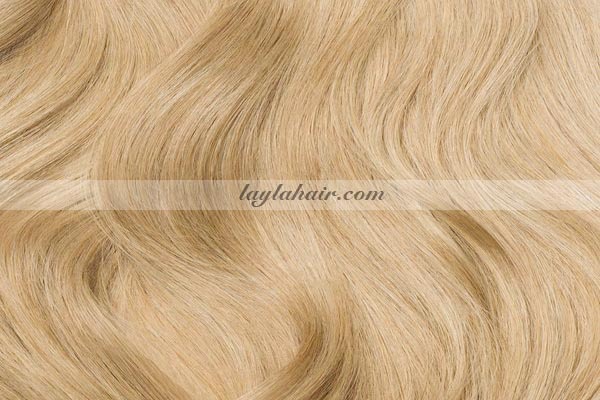 Blonde tone of clip in hair extensions will make your face brighter, more attractive and full of vitality. You just need to skillfully combine with many other accessories such as earrings, necklace, bunny… with dress and makeup suitably. 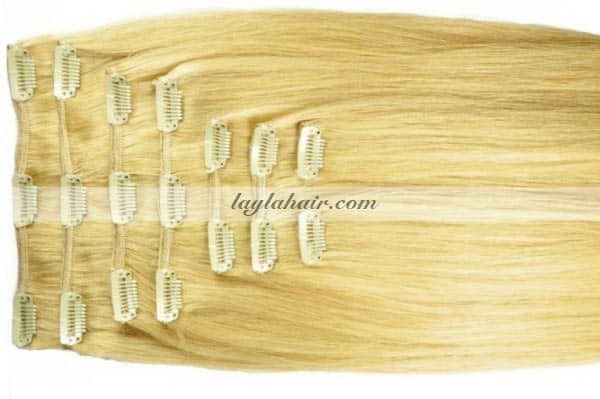 The Blonde clip in hair extensions are the choice cannot be better for you. Just for you to know, here in Layla Hair Company, we have a lot of color options for you: from ash blonde, blonde, different shades of brown, blue, purple, red, pink and so on… You can easily find the colored hair clip in hair extensions which match your complexion and your hair length. These clip-in hair extensions can totally be customized for your request. All of the hair extensions from Layla Hair Company is made of 100% real human remy hair, with little to no shedding or tangling, can last at least 1 year and even longer. All of our efforts to develop and improve these products are for the sake of customers’ satisfaction. Hope that the above share will help you a lot when choosing the color of the clip in hair extension especial with Blonde clip in human hair extension.